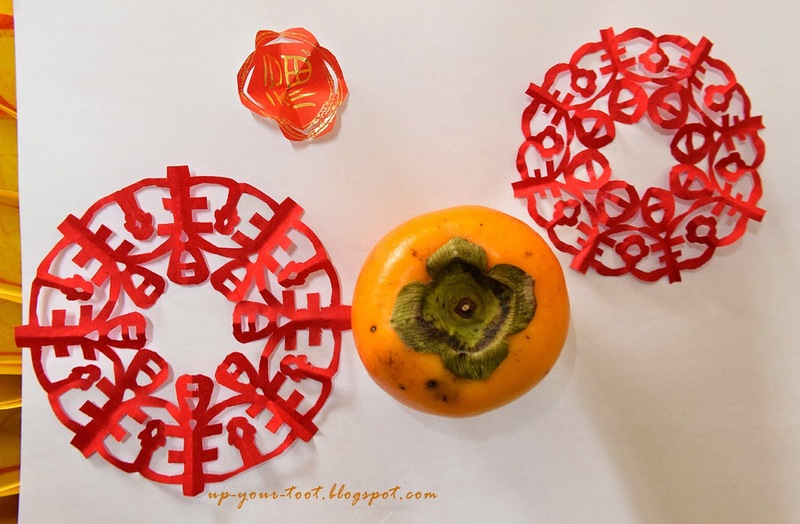 The Jade Emperor's birthday is on the ninth day of the Lunar New Year, which is tomorrow. 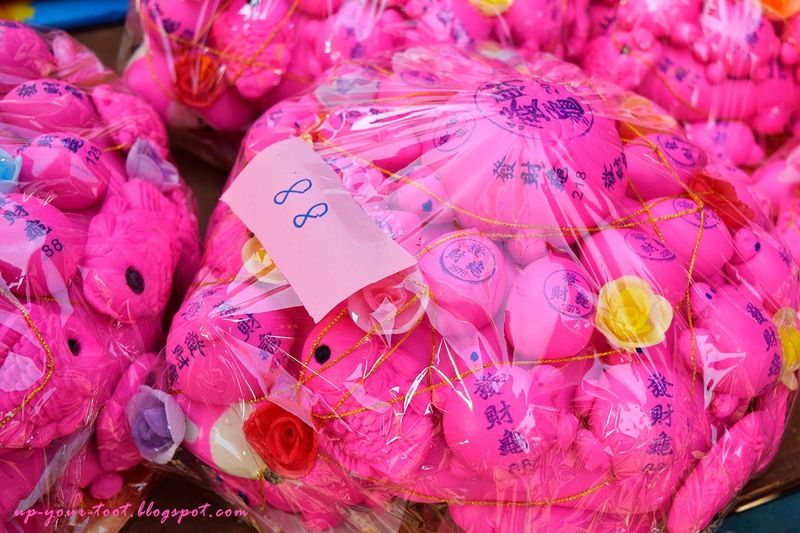 This festival is commonly celebrated on a grand scale by the Chinese diaspora from Fujian province. On the night of the eight, an altar is set up with offerings, waiting for the stroke of midnight so as to be the first to offer prayers to the Jade Emperor on his birthday. A combo miku (re tortoise bun) selling for RM88! Today I went to Jelutong market in Penang with my mum to get some fruits, and found the market busy as ever with stalls selling everything that you need for the celebration like sugarcane, traditional cakes and even roasted suckling pig. 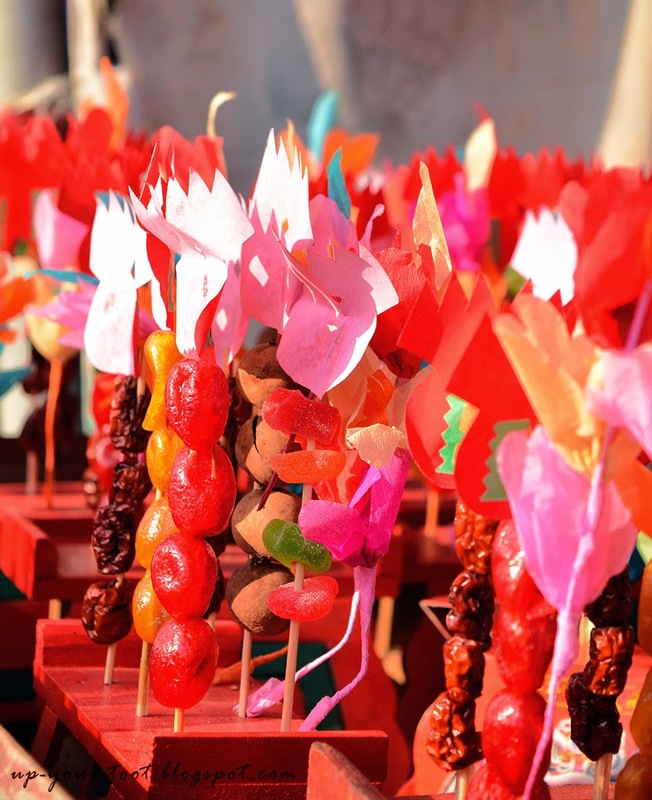 Dried dates and pickled fruits as offering to Jade Emperor. 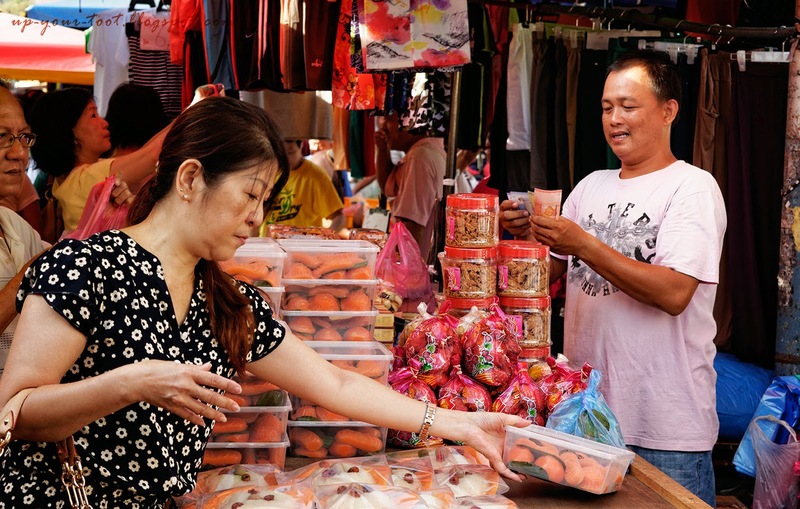 A lady picking up 'ang koo kuih', and the look on the seller's face counting his profits is priceless. 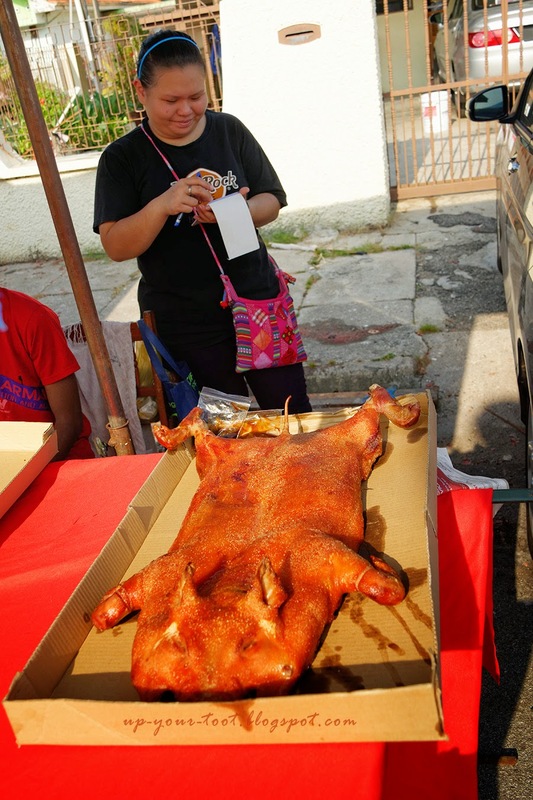 This little piggy didn't come home from Jelutong market - RM208 per piggy! Sugarcanes going like hot cakes. I have also prepared some Chinese red papercuts. These are used to dress up fruits and stuff being put on the offering table. For me, it is more like to 'cover up' or makeover fruits that have minor blemishes or look uninteresting. 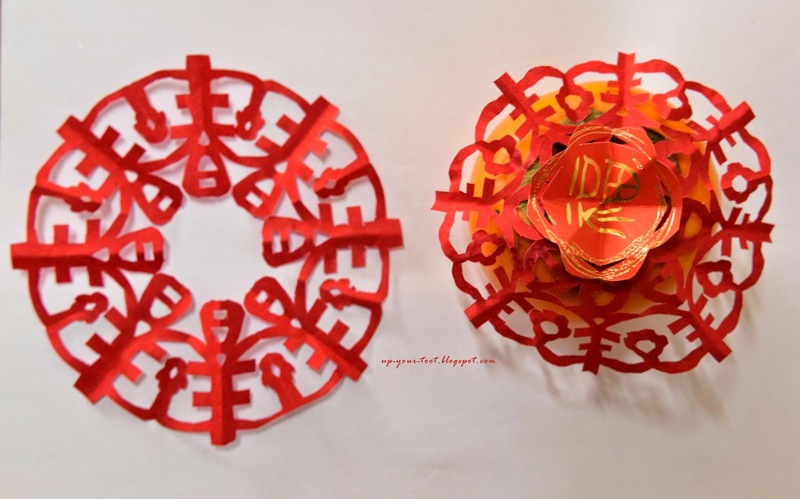 Here's some of my papercuts - to dress up the ugly persimmons. Tadaaa!!! She looks pretty now, and red. 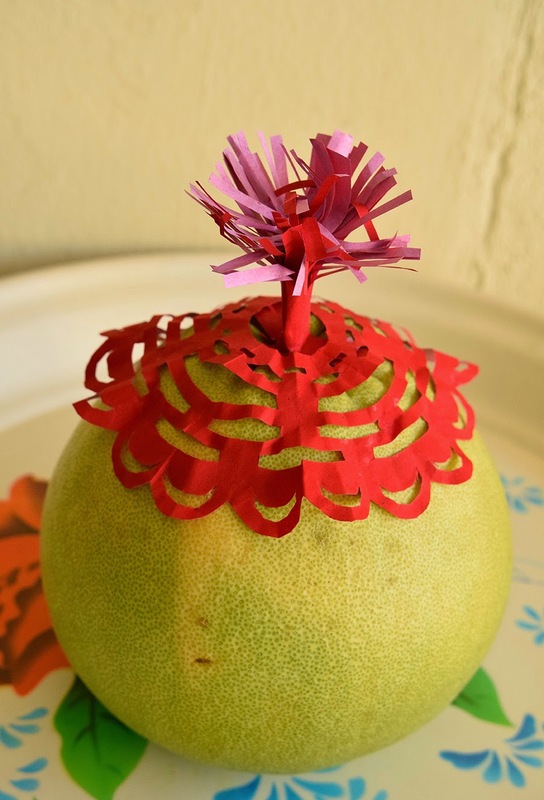 A pomelo with a red cap. There is a procession to bring the Jade Emperor image from Hean Boo Thean Temple to Chew Jetty today at 3pm (26/02/2015). Thereafter, at Chew jetty, the altar will be set up for people to offer prayers from midnight onwards, so do have a look if you are there. 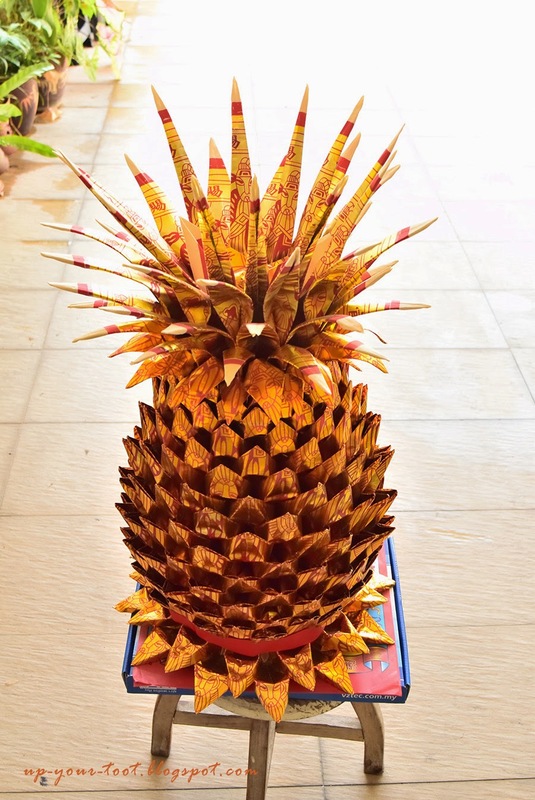 And this joss paper pineapple that I made myself (289 pieces and two days work!) will be sent off in a big bonfire of josspaper tonight. We call him Mr. Wilson, and he will get burnt tonite. Wah good job with the paper decoration. 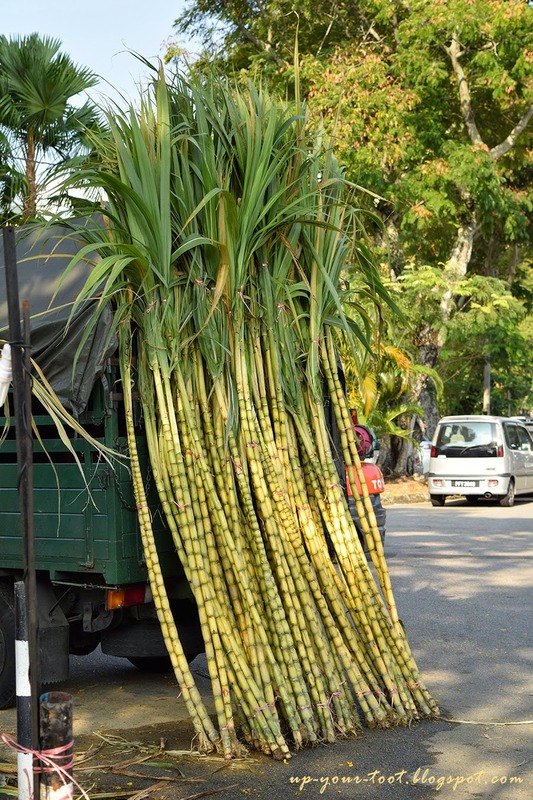 I hope the sugarcane baru tanam will grow well like that one.